LIBERTY SATURDAYS HAS MADE BRANDON VOSS AND JAKE RESNICOW TWO OF GOTHAM’S LEADING EVENT PRODUCERS. BUT DID YOU KNOW THAT INDEPENDENT OF ONE ANOTHER, BOTH ARE FORCES ON THE INTERNATIONAL PARTY SCENE TOO? 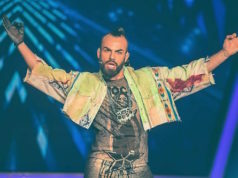 JAKE RESNICOW has helped to bring Spain’s party franchise Matinee to the States with incredible spectacles in various cities including Miami, Orlando and Los Angeles. BRANDON VOSS has produced events for Cher and Lady Gaga and works with Logo on all of their “RuPaul’s Drag Race” events, including the live crowning of the Season Six winner in Las Vegas. He also produces Berlin Fridays at Providence. The pair first collaborated last year on Boom!, Matinee’s Columbus Day event at Highline Ballroom. The success of the party inspired them to launch their own brand. Premiering Saturday, June 28, at Capitale, the spectacular space that was once the Bowery Savings Bank, you can bet theirs will be one pride event that is mighty Supreme. What will Supreme Festival add to NY Pride weekend? We’ve seen so many international party brands attempt to establish themselves in New York. Most have been unsuccessful. Jake is the only one that’s been able to do so it successfully with Matinee. New Yorkers are a notoriously fickle crowd. Guests of Supreme will witness the birth of the world’s next great international party. Is Supreme the American answer to Spain’s Matinee? Yes. We’re installing a million dollars in sound and lights as well as a custom laser installation and pyrotechnics. Celebrity designer MarcoMarco (who has worked with Britney, Gaga and Katy Perry) will provide costumes, and Spain’s red-hot designers ES and Addicted will dress the go-go boys. Why is Capitale the perfect space for Supreme’s Saturday event? We wanted a venue that was different from a typical NYC nightclub. The juxtaposition of Capitale’s lavish, temple-like interior and Supreme’s high-tech production elements will be over the top and rival any production you’ve seen in Ibiza. Chus and Ceballos will headline the party. Chus and Ceballos are Spain’s hottest DJ duo, hailed worldwide for their official Madonna and Mariah Carey remixes. Their marathon DJ sets are legendary. How did you land Azealia Banks as the performer? She’s been on both our wish lists for the past two years. Azealia grew up in New York and recently came out as bisexual. We’re beyond excited to host her first gay performance ever. Is the plan to make Supreme a touring festival? You know what they say. If you can make it here in New York, you can make it anywhere. NIGHT AND THE SUPREME CLOSING PARTY SUNDAY NIGHT AT LIBERTY THEATRE.